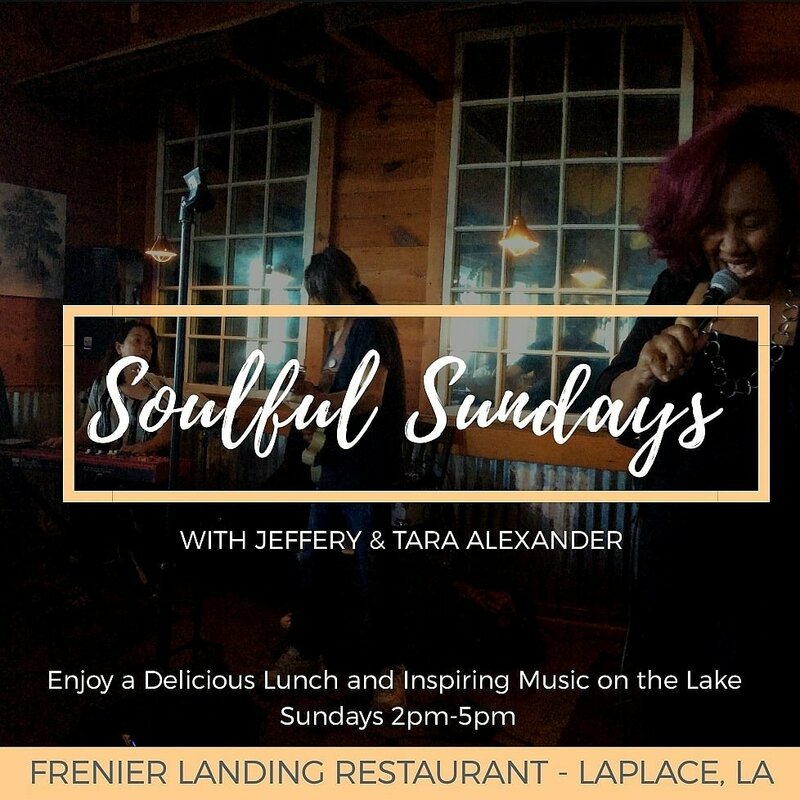 Join Jeffery and Tara Alexander along with some awesome musicians each Sunday at Frenier Landing Restaurant in LaPlace. From 2pm-5pm, hear the sounds of this couple along with a band of other local talent. Jeffery and Tara both have traveled internationally and recorded with a diverse roster of artists. Her latest release, Fly, can be found on iTunes and Amazon. Jeffery is featured in the documentary Do You Want It which chronicles the rise of Papa Grows Funk. Come check them out on Sundays for a real musical treat.